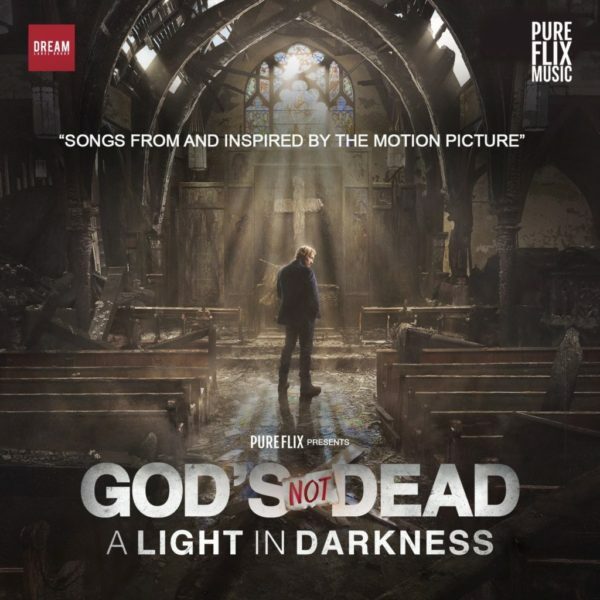 DREAM Label Group releases God’s Not Dead: A Light In Darkness – Songs From And Inspired By the Motion Picture the accompaniment album to the third film in the God’s Not Dead franchise presented by Pure Flix. Featuring unreleased music from some of the best and brightest artists on DREAM, the unreleased material from Matthew Parker, We Are Leo, Landry Cantrell, Joel Vaughn, The Rock Music, Abigail Duhon, New Hope Oahu, Mass Anthem, and Long Hollow Wave. “Rebound” (Abigail Duhon), “Yours Forever” (New Hope Oahu), “Light The Sky” (Long Hollow Wave) and “Alive In Us” (Joel Vaughn) are all highlighted in the film with cameos from Abigail Duhon and Joel Vaughn as well. The album has received a great reaction in the press with CCM Magazine calling the album “…diverse yet inspiring…”. Hallels.com calls the album a “must-hear” and Breathecast calls it “stunning”. The album is available at all digital retailers and can be found here. The album is in connection to the nationwide release of the the film GOD’S NOT DEAD: A LIGHT IN DARKNESS—featuring a star-studded cast, including David A.R. White, John Corbett, Ted McGinley, Shane Harper, Jennifer Taylor, Benjamin Onyango, with special appearances by Dr. Cissy Houston and Tatum O’Neal. Now available in theaters nationwide, GOD’S NOT DEAD: A LIGHT IN DARKNESS is a powerful reminder that in all circumstances, we are called to be a light for Jesus to a world in desperate need of hope. Purchase tickets here. Follow the official God’s Not Dead: A Light In Darkness Devotional here. Alysoun Wolfe and Jim Ameduri, Pure Flix is the leading independent faith and family studio in the world. Its recent releases include: God’s Not Dead: A Light in Darkness, Samson, The Case for Christ, God’s Not Dead 2, God’s Not Dead, Do You Believe?, Woodlawn, A Question of Faith, and Same Kind of Different as Me. With offices in Los Angeles and Scottsdale, Pure Flix has produced, acquired, marketed and distributed over 100 faith and family-friendly films. Aligned with their vision to influence the global culture for Christ through media, Pure Flix is the industry leader in creating high-quality inspirational feature film content. The studio’s official website is Pureflixstudio.com. The company also features a leading streaming video on demand service, with thousands of movies, originals, TV shows and more emphasizing faith, family and fun. For more information, go to Pureflix.com. DREAM was founded in 2008 to provide artists with a genuine approach to how real artist development should be done. By allowing for a partnership as a business model, DREAM’s artists empower themselves to develop and carry out a real vision for their lives as they affect other people’s lives with their music and message. Incorporating social media, press, radio and touring, this allows the artists to grow together as a family.